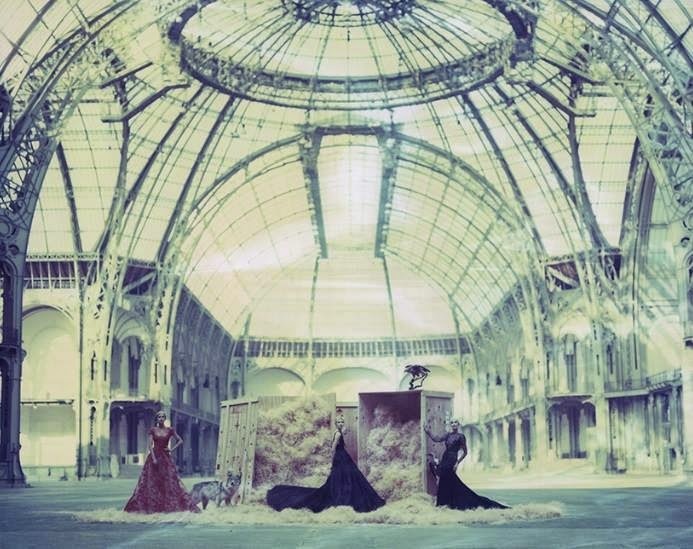 Nature and the urban have harmonized in a fashion photo-op by Cathleen Naundorf, where gowns by Elie Saab Haute Couture shown in full highlight at the Grand Palais. 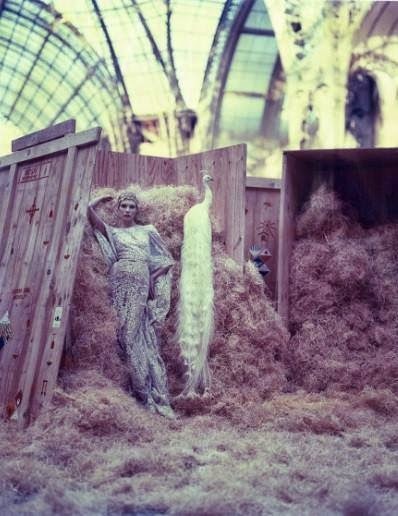 The purpose is to showcase the beauty of haute couture, its wild creativity and stunning detailing. 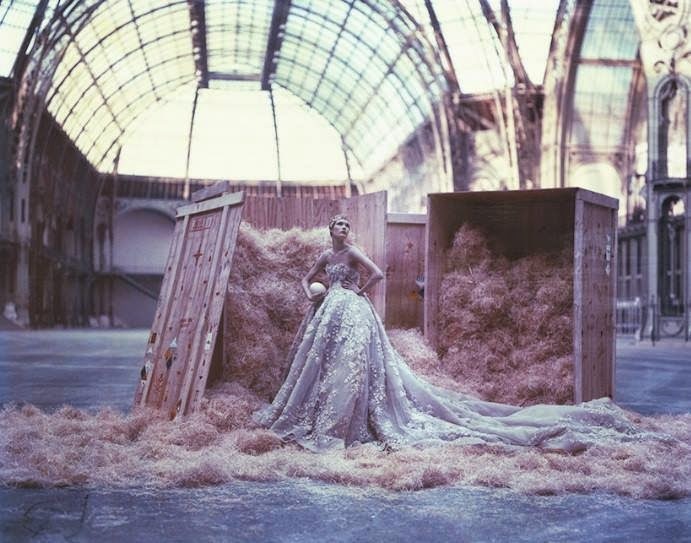 Cathleen Naundorf says "You have to get into this crazy, artistic, nearly Fellini mood, ... I shoot very fast, but I take time for the preparation, and I take time for the model. For me, its not somebody coming in, get dressed and you leave. She has a soul. I want to know where she comes from."